The fourth story is about this marvelous TV show. It features ground-breaking and award-winning portrayals of two characters with developmental disabilities, as well as a character with OCD. During a related movie, a fan was featured with a diagnosis of Asperger’s. The other thing to know about this show is that its creators take their source material very, very seriously. Oh, not the physical location or even the laws of physics, no. But the emotional weight and impact of things, absolutely. It’s one of the most honest shows on air in that regard. This show is very, very good at showing what things, including disability, mean for the people living with them. In fact, it’s kind of what their third season looks like it will be about. It’s also a fundamentally political show embarking on a very noisy season. And it’s chosen to show the people bullying my brother, and the people causing so much harm to disabled people every day with flippant comments, in a negative light. Which brings me to the last point. Why is Sugar choosing Asperger’s, specifically? Because it’s getting this level of response. read the rest: crown_of_weeds: Sugar, Self-Diagnosis, Appropriation, And Ableism: So Here’s What You Missed On Glee. Beautiful and sensible breakdown of what Sugar Motta means in the context of Glee from the perspective of someone with Autism. This is a must-read if you’ve been following any of the related stories and especially if you are sick of the arguments. I’m still reeling from yesterday and so happy that Julia can reel and be this incredibly astute at the same time!!! Just tweeted Crown of Weed’s post. I hope both of you are right, but even if you are does that make it okay? Should it really be okay to pick on a vulnerable group of people for ratings if you make it okay in a few weeks? I hope it will be a positive in the long run, but Rosalind Wiseman thought “Mean Girls” would help too and it actually contributed to my daughter being bullied, so forgive me if I am still a skeptical. But even if they were, part of storytelling is being honest, and sometimes honest stories take time to resolve. I’ve always said I prefer watching TV shows after they’re cancelled, so I can watch the whole thing like a gigantic multimedia novel. I mean, if you were reading a book and this happened, would you stop reading? Or would you look at the 600+ pages and wonder if it all makes sense later on? Glee has done things I wholeheartedly disagree with. The continued use of the word “hag” bothers me, and there’s been anti-trans language as well, which is upsetting. Neither of those were ever resolved, but they were never treated as a big deal either in the show. Sugar is a big deal. 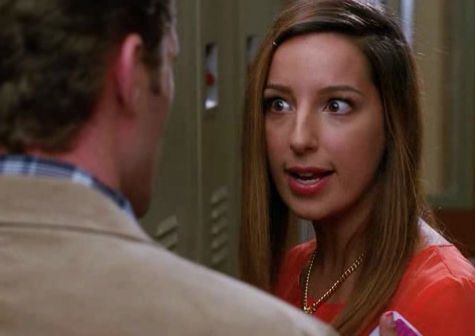 She’s already interacted with the entire Glee club and Mr Schue. She’ll be back, we’ll get more of her story, and presumably know properly where she (and her story) are coming from. I really do think there’s more to this, and I don’t want to rush to condemn before it all becomes clear (because I’ve done that before, and I felt awful silly afterwards!). Thanks for commenting 🙂 I do hope that it is resolved in a way that feels more comfortable for people.